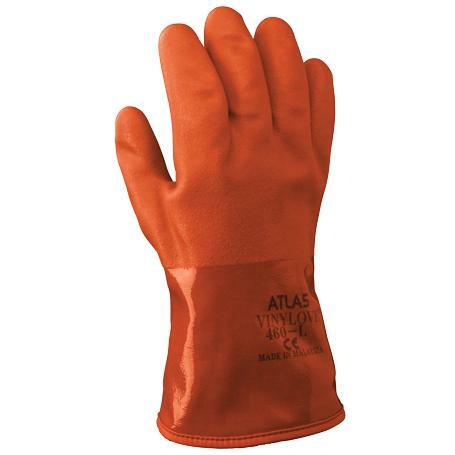 Work Gloves, Showa Atlas 460 are PVC work gloves to keep your hands warm and dry and your grip flexible and secure on your boat or while working in wet conditions. The Showa Atlas 460 gloves are built to stay flexible down to -4 Deg. F (-20 Deg. c) and feature an insulated acrylic liner and double PVC coating that's oil and chemical resistance.